Christian G. Sia - MOSVELDTT Law Offices - Pasig City, Metro Manila, Philippines. 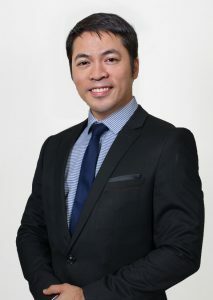 Mr. Sia is an expert in the settlement of issues and disputes. He hurdles the prosecution of trademark infringement cases, including the search and seizure of infringing goods. Mr. Sia has represented client companies before the Bureau of Internal Revenue specializing in the enforcement of Letters of Authority and requests for favorable Tax Rulings or Exemptions, saving his clients hundreds of millions in the process. He has distinguished himself in the field of local government taxation, particularly in the handling of tax protests for illegal and unreasonable business and real property taxes. Mr. Sia serves as the business consultant of several companies, including a successful chain of supermarkets in the country. Mr. Sia is a member of the Philippine Institute of Certified Public Accountants and the Philippine Constitutional Association. He previously worked as an Auditor in Sycip Gorres Velayo and Company, the country’s largest accounting firm.